If you are interested in joining the Halton Region Salmon and Trout Association, or you have a question or concerns, please complete the form below and a member of the Association will get back to you as soon as possible or send us an email at hrsalmonandtrout@gmail.com. If you have witnessed someone breaking the law by fishing in an area clearly marked as a fish sanctuary, we want to hear from you. 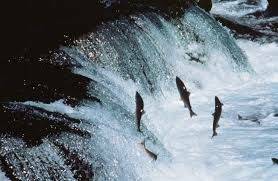 Sanctuaries have been created in an effort to assist in the stabilization and growth of our Salmon and Trout.